​Wilfried Zaha's stunning solo goal helped Crystal Palace edge past Premier League strugglers Huddersfield at the John Smith's Stadium. Zaha, who was returning from injury, weaved his way down the left before cutting inside and curling one past the flapping Jonas Lossl. Huddersfield hit the woodwork through Aaron Mooy in the second half but their efforts were in vain as David Wagner's side extended their winless streak in the Premier League to five games. With just two goals in the league so far, it's clear ​Huddersfield are struggling in front of goal. Steve Mounie, who scored twice on his Premier League debut against Palace last season, doesn't look like a man capable of digging the Terriers out of their current predicament, while Laurent Depoitre has made little of his four substitute appearances so far. Conceding 11 goals in their first five games is also a major point of concern for Wagner. With fixtures against Leicester, Tottenham and Burnley coming up, major changes are needed. Starting XI: Lossl (6), Kongolo (7), Schindler (7), Zanka (6), Lowe (7), Billing (7), Mooy (7), Hadergjonaj (6), Kachunga (6), Mounie (6), Van La Parra (7). STAR MAN - Chris Lowe was consistent through for Huddersfield. Palace winger Andros Townsend failed to get much change out of the left back, and he got through plenty of passes with a high success rate. Aaron Mooy also deserves an honourable mention for going closest for the home team, but Lowe was dependable on the day when things just didn't fall for his side. WORST PLAYER - When you're down at the bottom of the Premier League and looking likely to be involved in a relegation scrap, you need a forward to come up trumps. However, Steve Mounie has just not done enough for his side yet this season. With no goals so far in the league, the former Montpellier man needs to offer a better outlet for his attacking colleagues. If a team struggle to score, they're bound to struggle. 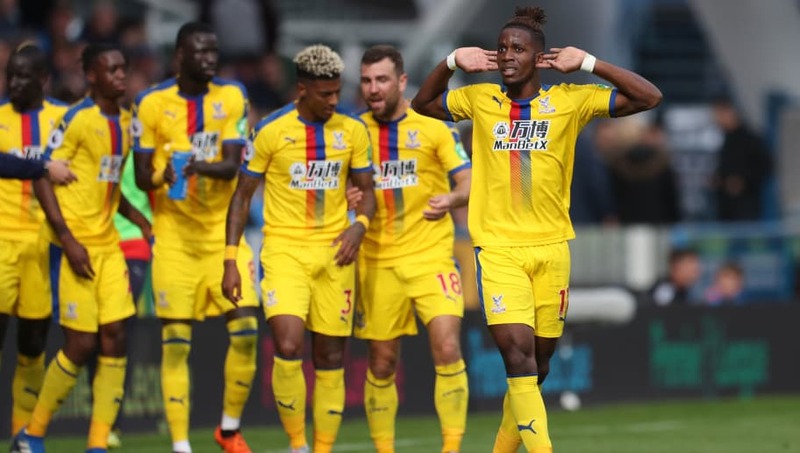 A lot has been made of Crystal Palace's poor record when playing without Wilfried Zaha, and it's a topic that popped up again on Saturday. The Ivory Coast international proved the difference maker against Huddersfield and it's so evident that Roy Hodgson's side are desperately reliant on him. Zaha would surely love one of his teammates to pitch in and score a goal here or there, but whether the others are actually of the required standard to do that remains to be seen. Starting XI: Hennessey (7), Wan-Bissaka (8), Tomkins (6), Sakho (7), Van Aanholt (7), Kouyate (7), Milivojevic (7), McArthur (6), Townsend (7), Ayew (7), Zaha (8*). STAR MAN - No prizes for guessing this one. Zaha again earned his side three points and his stunning strike is one of the best goals seen in the Premier League so far this season. The poise and balance Zaha displays while running at full backs is scary at times, and he should now be considered as one of the league's finest wingers. WORST PLAYER - It's tough to pick out a particularly bad showing from what was a decent Palace performance, but James McArthur was generally fine in midfield. There wasn't too much to criticise from the Scot, but there was nothing that made him stand out either. Huddersfield have a tough trio of league games coming up, with trips to Leicester and Burnley coming either side of a home tie with Tottenham. Palace host Newcastle in their next game, before a Carabao Cup tie at West Brom and a trip Bournemouth shortly afterwards.